Dr. Alan Dulin believes the benefits of cosmetic surgery extend beyond an outward appearance, boosting self confidence and helping you to look and feel your best. Dr. Dulin is committed to providing quality care for all of his patients, designing individualized care plans based on consultation, expert guidance, and a lifetime of support. Alan is a recognized leader in breast and body contouring, with impressive academic achievements and training. Dulin is board certified in plastic and cosmetic surgery by the American Board of Plastic Surgery. He received his medical degree from the University of Arkansas for Medical Sciences, where he earned numerous accolades. Dr. Dulin also completed an extended plastic surgery residency at the renowned Scott and White Hospital in Temple, Texas. His extensive surgical training has afforded him the ability to diagnose and treat a broad range of both cosmetic and reconstructive procedures, including intricate hand surgery. Dr. Alan Dulin has surgical privileges at The Medical Center of Plano, Presbyterian Hospital of Plano, Baylor Medical Center of Frisco, and other hospitals in North Dallas. Alan has been living and practicing in the area of Plano, Texas for over 10 years. He takes pride in providing each individual with a customized assessment, and offering the highest degree of excellence in patient care. My experience with Dr. Dulin and his staff has been phenomenal. From the beginning of my consultation to the end of my follow-ups, I have continually received exceptional service from anyone involved in my care. Dr. Dulin was very thorough and addressed all of my concerns. Everyone was friendly and professional, especially when explaining specific details prior to and after my surgery to ensure a healthy recovery. I am very pleased with the outcome of my surgery which was flawless. I feel great and have a higher level of confidence. I was so impressed with Dr. Dulin and his staff that I had a second procedure performed recently. My second experience was consistent with my first one with no complications. I have even referred several of my friends, who are in the process or have already had their procedures, to this phenomenal practice. I recently lost 165 pounds through diet and exercise. It was a two year journey that, unfortunately, my skin didn’t take with me. I did a lot of research on plastic surgery and plastic surgeons to find one that could put my body back to its original form. I needed a tummy tuck to remove excess skin, a muscle tightening operation on my abdomen, and a breast operation to remove sagging there as well. 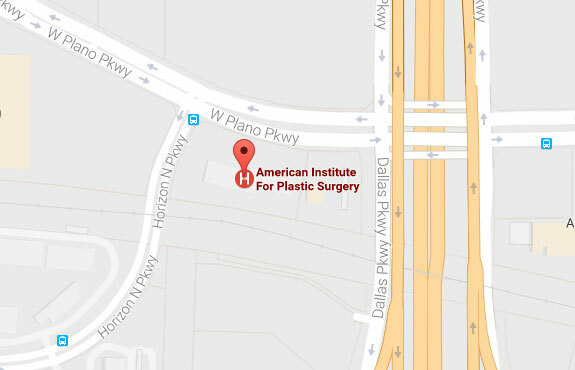 Through my research I came across The American Institute for Plastic Surgery. Dr. Alan Dulin in particular. I had a friend who had a similar procedure through Dr. Dulin as well so I felt comfortable enough to at least book a consultation. From my consultation, pre-op visits, the operation itself, and my post care treatment, my expectations have been far exceeded. The staff and Dr. Dulin are exceptional at making you feel comfortable and at home through the entire process. Not a single question left un-answered, or expectation left un-met. 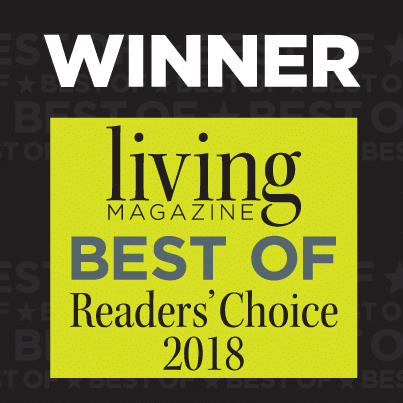 Every single member of the staff has made me feel like part of their family and I would recommend Dr. Dulin to anybody looking for a plastic surgery solution to their problems. You will not be disappointed in the physical results, or the genuine care that you will receive before and after your operation. Thanks for your great care! I’m so excited for my new start at being the”me” I want to be. You are exceptional! Thank you so much for your kindness and comfortable environment. Your staff handled a unique situation for us with such grace and ease! We are grateful for the new look and great confidence these procedures have evoked. Thanks to you and your great team of professionals. Thank you so much for your unbelievable skill and talent in my tummy tuck & lipo. I could not be more thrilled and really look forward to my thunder thigh lipo! You are a very gifted surgeon. Dr. Dulin is amazing-he made me feel comfortable with a part of my body I had been uncomfortable with for a long time. His bedside manner is very professional and reassuring. Everyone was very sweet, kind and honest. It has been a life-changing experience! Thank you. Thank you for the fabulous “breast enhancement”. I don’t ever remember looking this good. You are wonderful surgeon. It is important to me that I express my gratitude for finding you and my appreciation for my beautiful breasts! You have made a lovely impression on me. I think you are charismatic, gifted and professional. All of your patients are very lucky. Thank you so much for all you’ve done for me. I can’t even express the confidence and self-esteem I have gained in your confident hands. I made the best decision when I trusted you with my surgery. I just wanted to say thanks for doing such an amazing job on my recent surgery. I am so happy. I love the new me and I have you to thank for that. Your staff is super and I could not have felt more comfortable. What a wonderful and caring staff. My experience was better than expected. Thank you Dr. Dulin for such a fantastic experience and for giving me back my self-confidence. Right from the start your staff may be feel comfortable, your office setting is very pleasant. Dr. Dulin’s non-intimidating manner helped calm my nerves, he was the perfect choice for me. Thank you. I am very pleased with the results! Dr. Dulin and his staff are the best. Thank you so much for everything. My surgery experience was excellent. Thank you, Dr. Dulin and all the staff. You’ve changed my life. An overall great experience! I will highly recommend Dr. Dulin to anyone I know who is looking for an outstanding plastic surgeon. Dr Dulin, just wanted to say “thank you so much” for everything that you have done for me – all of it. I appreciate your kindness. Just wanted you to know how thankful I am for you and how much I appreciate the way you have been with me. You never once made me feel uncomfortable at all! I thank you for your honesty. I truly feel safe in your care.